← Kava Health Benefits Preventing Lung Cancer? Please refer to SKU: HGU98011249 when you contact us. 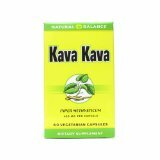 – Stress Support & promotes relaxation – Encourages a Sense of Emotional Well Being – Promotes Muscular and Nerve Relaxation – Supports Normal Relaxation from Tension Brought on by Daily StressWarning: The US FDA advises that a potential risk of rare, but severe, liver injury may be associated with kava-containing dietary supplements. Ask a healthcare professional if you have or have had liver problems, frequently use alcoholic beverages or take any medication. Stop use and see a doctor if you develop symptims that may signal liver problems, including jaundice (yellowing of theskin or whites of they eyes) and brown urine. Other nonspecific symptoms can include nausea, vomiting, light-colored stools, unusual tiredness, weakness, stomach or abdominal pain, and loss of appetite. Not for use by persons under 18 or by pregnant or lactating women. Not for use with alcoholic beverages. Excessive use, or use with products that cause drowsiness, may impair your ability ot operate a vehicle or heavy equipment.